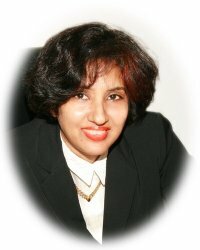 Ms Jamela A Ali, LLM is an Attorney at Law and Legal Practitioner in Guyana for over 25 years. Ms Jamela A Ali has a Masters of Laws degree which includes Constitutional Law. Jamela A. Ali is a former Counsel at the Attorney General's Chambers, Guyana. During the period 1989 to 2001 she specialised in Public law, including Constitutional Law and represented the Attorney General and other public officials in several Constitutional Court matters. Jamela A. Ali is presently in Private Practice at the Bar in Guyana from 2002 and her areas of practice include appearances at the Constitutional and Administrative Division of the Supreme Court of Guyana. Jamela A. Ali has also delivered speeches on Constitutional Law Reform and Human Rights. GUYANA - A REVIEW OF THE CONSTITUTIONAL REFORM PROCESS first delivered at the first Law Conference of the Guyana Bar Association (GBA) 2002. The speech was so well received that it was published under the title A REVIEW OF THE CONSTITUTIONAL REFORM PROCESS IN GUYANA Caribbean Law Review - a University of the West Indies (UWI), Cave Hill, Barbados publication, 2003. GUYANA PARLIAMENT: A DEMOCRACY OR A MOCKERY at the second Law Conference of the GBA, 2003 which was also well received and touted as a resounding success. Jamela A. Ali also offers legal services in Mining Law & Agreements, Conveyancing, Property matters, Trademarks, Divorces, Adoption of Children, Probate of Wills and Administration, Money Claims, Formation of Companies, Mediation, and Real Estate.